I'd highly recommend everyone give the thread linked in the last post a read! Here's the link again if you don't want to go back to it. Regarding the issues with submitting posts, I'm very sorry that this has happened. To offer some of the functionality on the forum we use extensions to modify the default phpBB forum software. This usually works great, except when it doesn't. Some of the extensions are maintained by their developers, and some aren't - this means that as the base phpBB software is upgraded some of the extensions no longer work. This seems to be the cause of the posting error but I've found it difficult to fully diagnose. The error seems to have been caused by the mentions extension. As a temporary fix I've disabled this extension, which means that the mention function no longer works. We still need to fix the underlying cause but that process shouldn't cause any problems for any user. If you do happen to run in to any errors please let me know by sending me a PM, posting a message in About this Forum, or posting in the main thread. Screenshots are appreciated, along with a description of what you were doing before the error. My apologies once again for the issue, and thanks for everyone's patience. Pouty Dan. I take it they didn’t get the high score. Yea just checked when the last AP vid was uploaded. It was on 21 march... which makes it 24 days if he uploads today. I already lost my bet yesterday, but i'm redoubling on today. Surely he'll try avoid breaking the sacred month barrier ? I'm looking forward to this Q&A more than the previous vids because I still think it holds the potential to break us some information of where he's going and where joint content is going. Come on Phil, give us some clues. Put them in military intelligence grade encryption if necessary, but spill some of those beans. 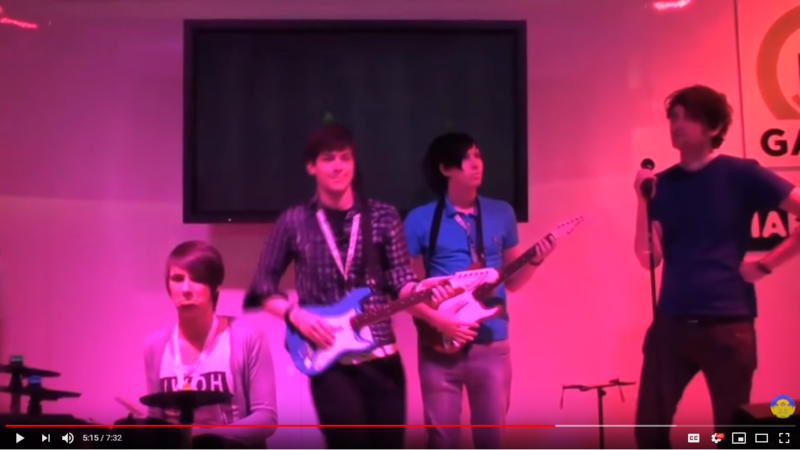 Just realized Phil’s even wearing the blue shirt he wore in Dan’s E3 vlog. They were so young and precious ugh. I think if Phil knew when the video was going up he’d say that instead of ‘soon,’ and unless whatever is holding the video up is something that would be worked on on a weekend... yeah, probs no Phil video. I’d love to be wrong though. I feel like it’s been long enough he might as well just film something else and post that first, but that’s probably because I’m bored and want a distraction. I can hardly blame Phil for taking a few weeks off when Dan’s taking a few months off and I don’t blame him, but I’m still bummed out. I’ve branched out a bit and found that MacDoesIt makes me laugh and I quite like his videos. I miss watching gaming tho. I watched a 20 minute video just of a guy explaining the rules to that zombie board game dan and Phil played the other day and it was actually great. I’d love to watch people play it but I’m also not brave enough to go looking for new YouTube gamers to watch. At this point I'm convinced that Phil's hold up has to do with merch. He's definitely going to #spon it in the new video. But... how much longer can it take? I guess it depends on what the problem might be. If the merch is not ready to be sold yet, they (as in Phil and IRL) could just as well put it up with a "ships from [insert date here]" and let people start buying it in advance. I've been cheating on deppy too, and it's actually kinda nice, but it does feel weird to suddenly look forward to somebody else's videos. I used to watch other youtubers pre-hiatus too, but I was way less invested and didn't really care when/if they uploaded something. Also, MacDoesIt is awesome. Mac is amazing, I found him out when he did the viewers buy my outfit challenge and mentioned Phil and since then I've watched him so much! I've also fallen into the BA Kitchen community if anyone loves food and laughing good suggestion! Oh yeah, BA is my favorite thing right now. That plus Grace and Elliott being cute on instagram gets me through the hiatus. I'm really hoping for the video today. I feel like it's been a month since he asked for questions, even if it's just been a little over a week. I've always watched other stuff, less generally now than before, so much art stuff, I'm a bit arted out now, but my goto faves are Draw with Jazza, more recently Jenna and Julien (all the Js apparently) cos I wasn't feeling so good and their energy is less frenetic than some and they're just lovely. Hmm... I don’t know what it is. I really enjoy Kelsey’s 100 Baby Challenge, SimplyNailogical, Safiya, and a host of other YouTubers. But I’m not invested. I don’t worry about their general well-being or have my heart race when I see they’ve posted. Not sure what the difference is, but with the boys, I’m all in. Which means the ups are extra up, and the downs are extra down. alive” for a while. If I had some free time, I’d love to graph the time that each topic lives to 40 pages on IDB by date. I recently realized I don't really watch a good chunk of my subs anymore so I guess it's time for spring cleaning soon. There was a time in my life where I was a fan of many YouTubers, but I've grown casual now. Even among those I watch the most these days, I have no desire to go deeper and join a fandom or something. I don't think that's gonna be part of my life anymore. Deppy are truly the special ones. Oh yeah, these two are the only ones I feel so much for too, they're forever secured in my heart thanks to suddenly plunging into feelings for them (after a bereavement I'd been somewhat prepared for, I was also missing old friends). I remember how surprised I was to feel so strongly, I don't even remember being that deeply into bands I loved as a kid and I'd thought I liked Chris Evans, and I do, but not as deeply. Now of course these substitutions do happen in grocery delivery, but the selector either had a very good sense of humor and/or recognized his name. It’s also curious that he says his regular shower is lemon scent when most recently he was trying that 3-1 stupid manly thing. Put side by side these two products look like something two lads who laugh at gender roles might order for a lol. Though if Phil did order it or say Dan slipped it in their order as a joke, would Phil feel comfortable saying that? Or is “hey this was an accident, but no complaints here!” a happy in-between? I won’t get into the ingredients and ethical standards of those products and their effects on the water supply and animals again, but please Dan (or even Dan’s brother) intervene for the sake of the bunnies! 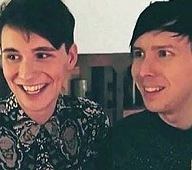 Other shower thought: in the nearly 8 years of these two living together (yes I’m rounding up because god knows Dan spent enough time at Phil’s apartment during uni and probably the whole summer break before they got their two bedroom flat) why for the love of everything holy have we never gotten a clip of Phil singing in the shower??? Like that is prime roommate content! I will not rest until I’ve heard Phil Lester belt out ‘My Heart Will Go On’ with the beautiful acoustics only a bathroom can offer. I've generally got a strong dislike to fandoms. The very idea of "fans" and celebrity imply some form of idolatry, which runs counter to my strong egalitarian and humanistic principles. The social dynamics at work in these online communities are also at times deplorable. So it's quite ironic that i became so invested in Dan and Phil, especially since I would consider their fandom to generally be one of the youngest and shallowest (painting in the broadest of brushes). 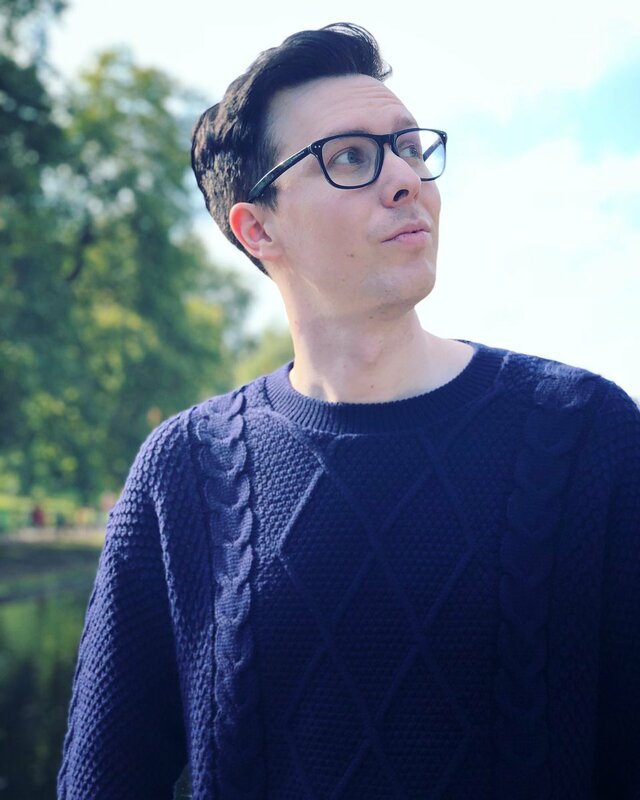 Often, I feel Dan and Phil are so limited by their fans (besides their own demons) that I wish the community was smaller, maybe a bit more like 2009- 2012. Most channels I sub to are nothing like D&P. The David Pakman Show, other news, science and history related channels. Through Dan, I did find two channels (Philosophytube and Contrapoints) which I enjoy for their dramatized/infotainment-like content around some popular issues. But I don't feel the same emotional connection to them as people. That's the power of parasocial relationships i guess. I’ve branched out a bit and found that MacDoesIt makes me laugh and I quite like his videos. I've been watching macdoesit since 2014 and he's just so unique in his editing (like 2012 editing on extreme amounts of caffeine) and humor I love him for that. One of those people that can film a pretty boring video concept and make it hilarious with editing and facial expressions. He's a king for getting content out in this drought, but once again, less invested in him than I am in Deppy. The only other "relationship" youtubers (meaning their relationship and chemistry is what makes things funny) I really follow still are Safiya + Tyler and Jenna + Julien. I never liked Superwoman/Lily Singh in the day but I've been watching her in the drought, and her vlog channel is actually more my speed than her main channel! Because of my work-niche, I hate-follow a lot of lifestyle vloggers and clean with me people, and MAN is there nothing more boring than watching a bunch of people clean their house and film their morning routine Every Single Month. Like the cinematography is great, but lord almighty how many times can you watch someone vacuum from 10 angles? 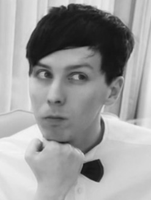 Speaking of which, I should probably clean my house instead of waiting for a Phil video. I’ve always had a love-hate with fandoms. I am a member of the progenitor to all the others, so I’ve seen what tends to happen in them, and what unfortunately is lacking here. I agree that the boys definitely miss their fandom of 2009-2012 (and yes, I was there for it) but there is a way to get that back to an extent while making some good money. The solution is the precise opposite of egalitarianism, elitism. Using a platform such as patreon or adding much more to YouTube’s in-house version, then charging for the material is the way to go. The casual fan still gets something, but the few willing to pay a princely sum get much more, and their limited numbers allow for the sort of creator-fan relationship the boys want. If they really want to make good money, they can even go to Onlyfans. I’ll be the first to say “ugh” to that idea. From a selfish perspective, a few months of health issues and I’m on a shoestring, though I’ve been happy to pay for tour tickets and books when I could afford them. There’s no recreating how anything was anyway, the past was different and we can miss it, but it won’t be brought back (I mean for anything ever, not just this). I agree. Elitism carries a pejorative connotation, and there's plenty of contexts where you wouldn't want it but i'd argue the Deppy is already there. What else than elitist is a world tour, with for many people quite expensive tickets and trips to venues, with a vip meet and greet formula to boot? Books, dvd's, merch, phils new subscriber option...i think you already have "two tier" experience depending on if you're willing and able to spend money. 2018 was the best example of that. At this point, rather than watching no or uninspired content, i'd be much happier if they charged like 5 bucks a month and made what they really want to make. Because the current situation feels like a dead end. Another way to look at it would be that patreon and or a subscription model would professionally allow them to make content with a more narrow appeal rather than having an incentive to go for the lowest common denominator. Give some people what they want ! Anything that would lead to better and more content carries my preference tbh. I've never bought a single item of merch, only the books and dvds, and would gladly spend the budget of an (overpriced) t-shirt or two for (extra) quality content. I am sorry but this whole conversation makes it look like the phandom is pointing a gun to dnp's heads and forcing them to do stuff they don't want to do which is amusing to say the least. 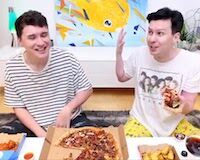 Dan and Phil never do things they don't want to do, that's exactly what they said on tour - there are things the audience would love to get from them but they won't do it because they don't feel comfortable enough to do so. We're not in control, they are. They don't do things just to please us - sure they know what we want to see but they do it because they want too, it's not just for the sake of "fanservice". Literally no one is limiting them, they can do whatever they want and their fanbase is already smaller than it used to be few years ago. And yeah, they probably miss having more privacy and less pressure on them but I'm pretty sure they wouldn't trade what they have now for what they had in the past. Also paying for getting content that has always been free? Yeah... no. I agree with all this, so much.